You gotta love Paula Deen. She’s a word nymph’s dream, blessherheart. I try to love her, really I do. Largely, it’s that I have trouble getting past her mispronunciations and speech gaffes. For the record, “vinaigrette” has three syllables. It’s vin-ai-grette. Not vin-e-gar-ette. She’s not alone; restaurant servers aplenty mispronounce the salad dressing. Actually, Paula stretches it to five syllables, splitting the last one in two, like a generous slice of her pink lemonade cake. Ensure: to make sure. I will grease the pan to ensure the cake doesn’t stick. 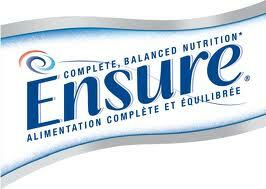 Think: I drink Ensure to ensure I get enough nutrients. *What, besides vinaigrette, do you find to be the most common food mispronunciations? In the meantime, here’s one person’s take. Note another Paula citation, for stretching “paprika” to four syllables. Good, I’m not the only one who counts. In Philadelphia, they say prentzels in stead of pretzels. It drives me crazy. It’s quite entertaining to teach phonics in the south. All of the children have southern syllables. Or should I say, all children? I know this isn’t exactly a food mispronunciation, but it’s one that drives me CRAZY. In north western NC, people (a lot of them my very smart classmates) say li-berry instead of LIBRARY. I want to smack them in the back of the head every time I hear it. I will never, ever again mix this up! Please let me assure you. Thank you for correcting my brochure – a copy is on its way. I assure you that I will never again mix this up. Thank you for your edits. A copy of the finished brochure is on its way.